The latest Spider-Man poster from Chris Thornley (Raid71) and Grey Matter Art is easily my favorite. Thornley has been experimenting with aesthetic, tone and color for each of his previous pieces, but this latest is the most striking. True to form, Thornley has employed a slick use of atmosphere and contrast, coloring the entire thing with Spidey’s color, but darker to fit The Punisher’s tormented character. 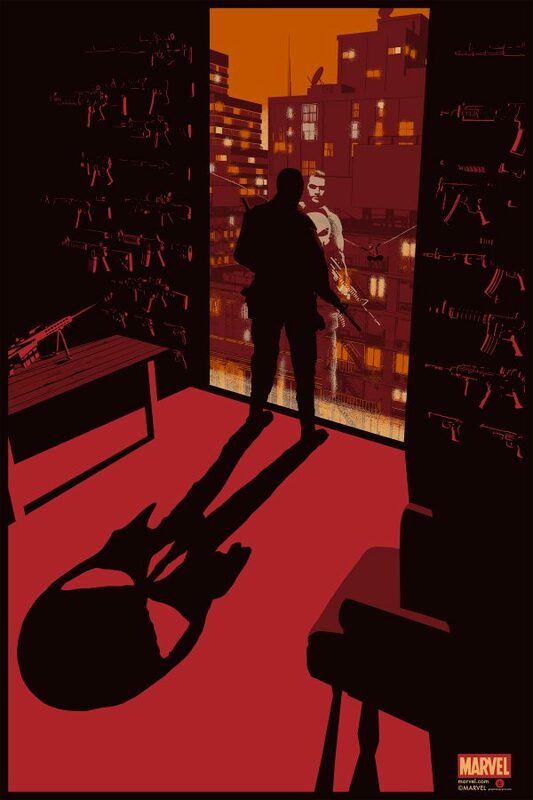 I love the shadow and lighting here, and the guns on the wall ooze with menace. On sale only from Grey Matter Art, Thursday, January 18.